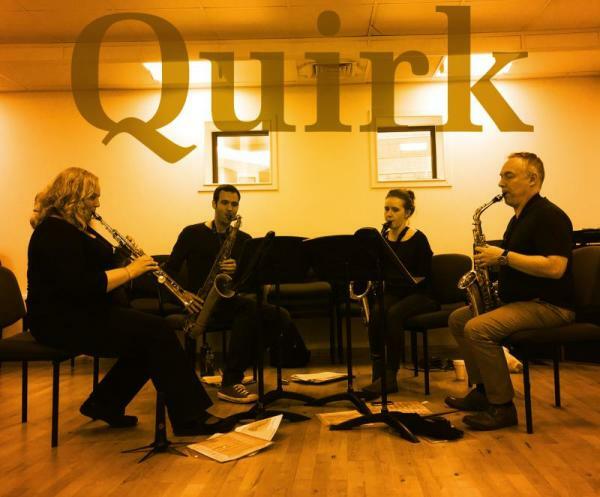 Formed in 2015, Quirk Saxophone Quartet are part of a larger collective who perform as a duo right up to an 8 piece saxophone ensemble. They have performed with artists such as Claude Delangle, Philippe Geiss, Jerome Laran and Richard Ingham. With all the members being top educators in their own right, the group often deliver educational days all over the UK, supporting the music taking place in schools, music services and specially organised events. this can involve composition classes, performance skills in preparation for exams, and ensemble coaching. The group have recently played at the World Saxophone Congress in Zagreb, Croatia and have been invited to take part in the Greek Saxophone Festival in Larissa in 2019. Soon to record their first album, it will feature new music written by members of the quartet as well as featuring guests who have become part of the quirk ensemble.